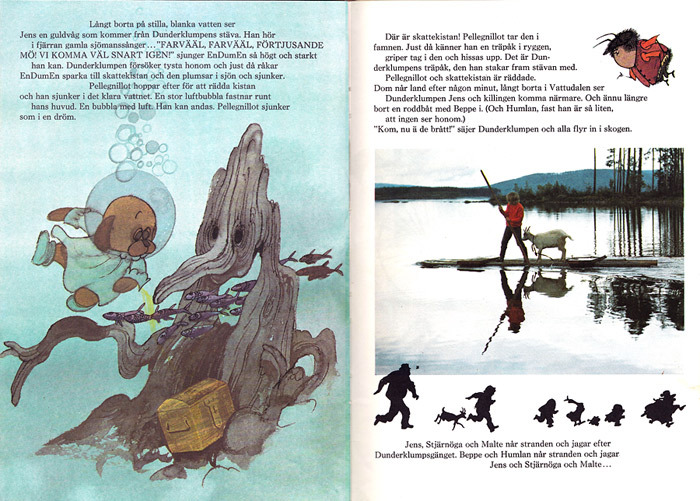 The swedish movie “Dunderklumpen” from 1974 is wonderful for children around 5–9 years old. Or for all ages! It is a dreamy, slow magical adventure, where animated characters interact with real people. All set in a beautiful swedish summer nature in the landscape Jämtland. I still love it and have seen it many times, also as an adult. If you love animation, you must see it! 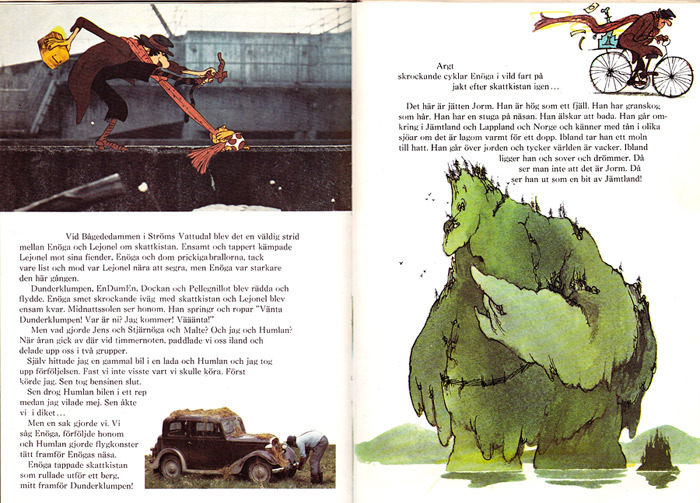 So technically this is not actually a “book” from my childhood, it is a movie, but also I am not sure I actually watched the movie as a kid, but I listened to it all the time on our LP-record and watched closely the images on the cover, so for me it was almost like a audiobook… And I loved the drawings! Any how, this book is made from the movie, so I was very happy when I found it on a flee market now as an adult. The characteristic illustrations are made by one of my favourite artists Per Åhlin (www.pennfilm.se), he also directed the movie. 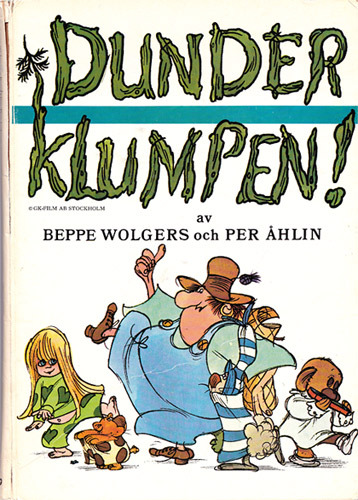 Original idea and manuscript by another childhood favourite Beppe Wolgers, who also starred in the movie and did the voice of the storyteller. Music by the great Toots Thielemann. This is high quality culture for kids! Soon my son is old enough to see it, jippie!